ON THE fourth day of a debate that has seen heated disagreement over the right way forward on population and economic growth, labour chief Lim Swee Say called for consensus - and reminded the House that workers' livelihoods were at stake. "Let us work together regardless of parties," said Mr Lim, who is also Minister in the Prime Minister's Office. Unionists had asked him what would happen after Parliament's five-day debate on the population road map. Mr Lim said that if MPs still held on to their separate views after discussion, Singapore's demographic challenges could not be solved. Urging MPs to "reach a consensus and walk together and serve the country", he identified three points of agreement between the People's Action Party Government and the opposition. These were: it is better to have more babies than more new citizens; a smaller total population is better than a larger one; and living conditions for Singaporeans must improve. Labour MP Yeo Guat Kwang (Ang Mo Kio GRC) also warned against a lack of consensus, saying that trade unions in Taiwan were worried that their country was being pulled back and forth by fragmented and fluctuating opinions. Many opinions may seem reasonable on their own, "but if you put them all together, they form a very conflicting picture," he said. Underlying the labour MPs' drive for consensus was the recognition of how important "a good salary and a good job" are to workers. Those, said Mr Lim, were top concerns of unionists and grassroots leaders. One flashpoint in the debate so far has been the Workers' Party's proposal to freeze foreign worker inflows in favour of resident labour growth and continued productivity gains. But Mr Lim warned yesterday that if economic restructuring is carried out too hastily, as suggested by "some MPs", businesses could be hurt and workers will eventually be the ones who suffer. "Our union leaders reminded us that yes, we can slow down the pace of economic growth, yes, we can slow down the pace of the introduction of foreign workers. 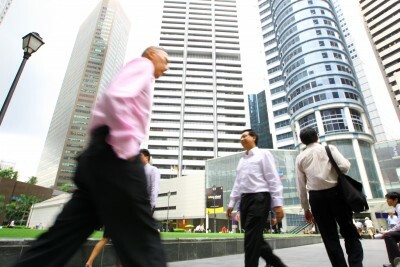 "But when we discuss this, we should not forget that the unemployment rate should not go up and the salary should not go down, should not stagnate," Mr Lim said in Mandarin. Jobs were also on the minds of workers in the electronics industry, said NTUC deputy secretary-general Heng Chee How (Whampoa), who is also the United Workers of Electronic and Electrical Industries executive secretary. "Workers in the industry are not worried about growth," he said. "They are worried about their jobs, and how to provide properly for their families if something should happen to their jobs." The six labour MPs who spoke yesterday also threw up various policy ideas. Mr Heng, a member of the Ministerial Committee on Ageing, focused on older workers. He called on tripartite partners to start work on extending the re-employment age limit from the current 65 to 67. For working parents, Mr Ang Hin Kee (Ang Mo Kio GRC) suggested paying out a Special Employment Credit to employers who hire working mothers. Mr Yeo suggested changes to the foreign labour policy to require bosses to try to recruit locals for jobs before turning to foreigners. He also proposed that skills certification be a requirement for work pass renewal, and renewed his earlier call for training and job-search support for the foreign spouses of Singaporeans. "They are a strong alternative source of manpower for employers," he said. But such talk - and indeed, the whole week's debate - "means nothing" to low-wage workers, who face stagnating pay and rising inflation, said Mr Zainal Sapari (Pasir Ris-Punggol GRC). He called on the Government to be more aggressive in raising wages at the bottom, such as by making it mandatory for companies to adopt the National Wage Council's recommendations. Things must be changed "if we want the Singaporean low-wage workers to believe in the vision we have for 2030", he said.